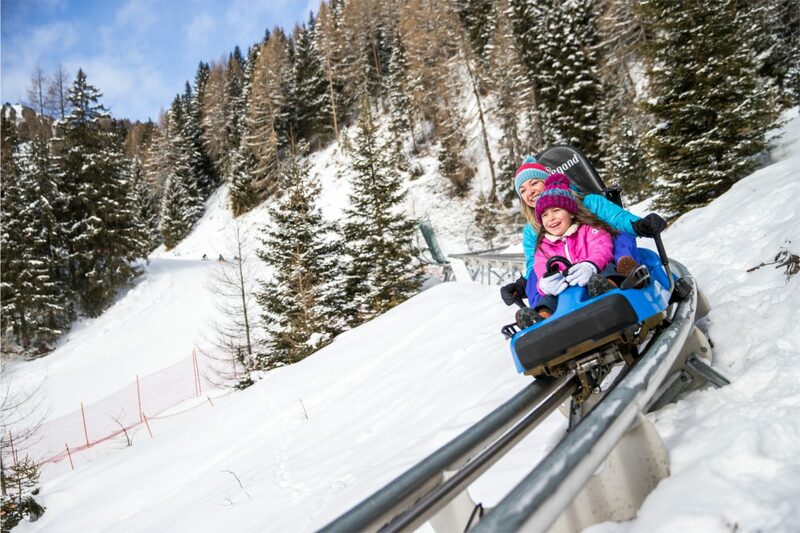 Alpine Coaster Gardonè is an attraction for children and families. It starts off from Gardonè, near the bubble car. Get your ticket, sit down and buckle up. 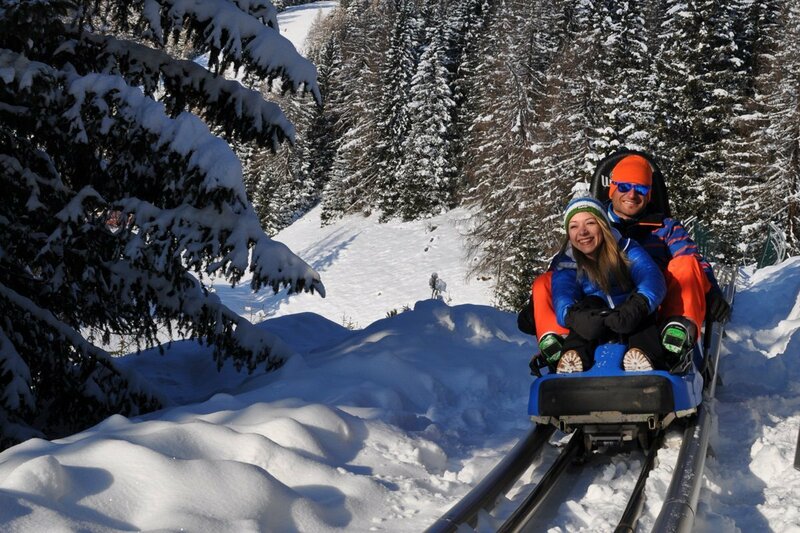 It is a two seater bobsled on rail tracks, you can ride on your own or with someone else. You choose how fast to go along the mountain coaster. You don’t need any gear to ride on it, you can wear your ski boots or dressed up warm for winter. 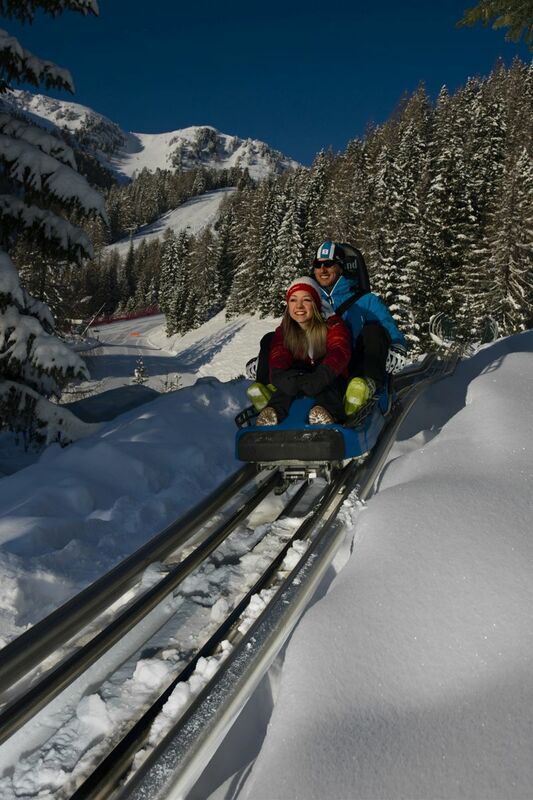 Alpine Coaster Gardonè is a loop which is roughly 1 km long. You start and arrive at the same point: not far from the Predazzo-Gardonè bubble car. You are situated at 1650 m of altitude, in Trentino: 10 minutes from Predazzo, in Val di Fiemme, on the Dolomites, UNESCO Heritage site. 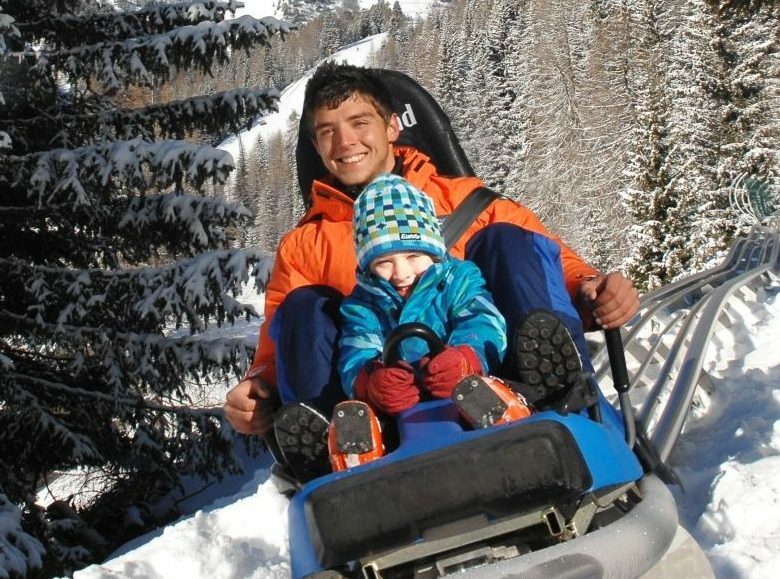 You can reach the mountain coaster by skis or on foot, it is easy to reach and it is nearby. The circuit unwinds through the woods, with some sunny sections, panoramic. It is ideal for children of 105 cm and above. We don’t know who has more fun, the children or the adults! there is a combined package, it can be bought at the ticket office with a number of runs and special discounted offers for non skiers. 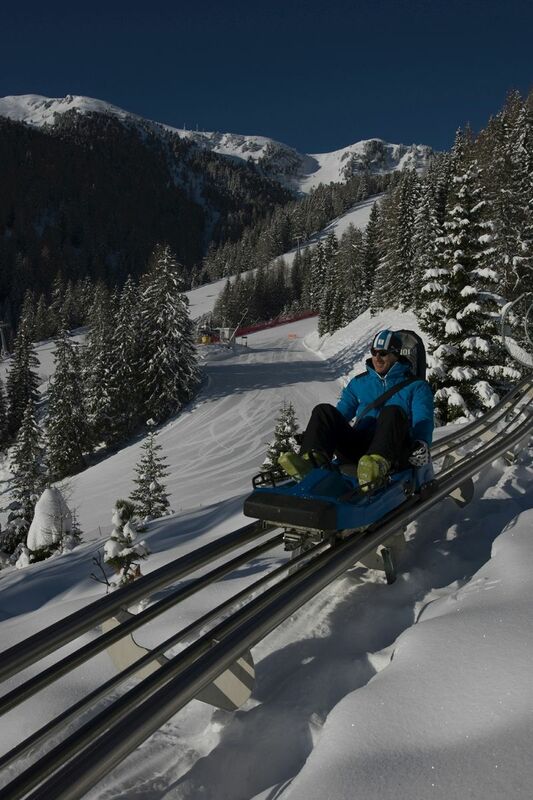 Alpine Coaster Gardonè is a loop circuit which is roughly 1 km long. Hold your breath and enjoy yourself along the breath taking hair-pin bends and parabolic turns. Start and arrive at the same point: not far from the Predazzo-Gardonè bubble car. Get your ticket, jump on the two seater mountain coaster buckle up and go. You can control your own speed, accelerate and close your eyes to feel the speed. The route unwinds through the Latemar woods. 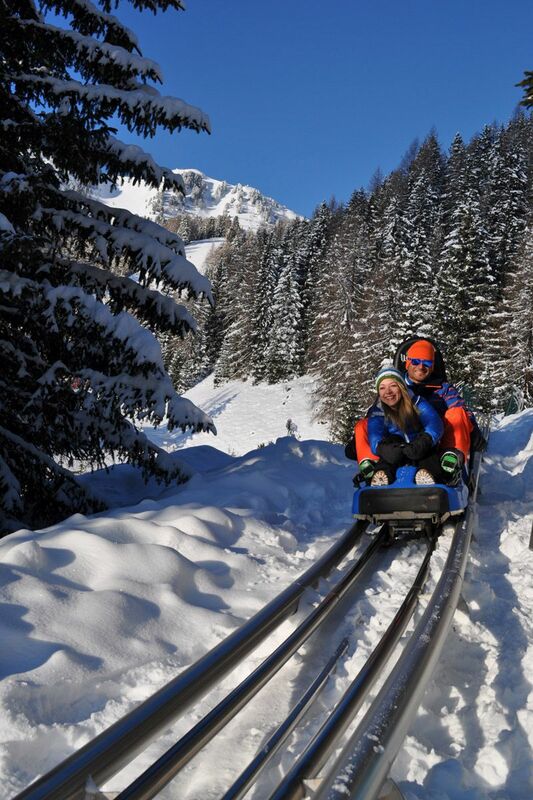 During winter, families and children enjoy themselves with all the jumps, bends and exciting turns. 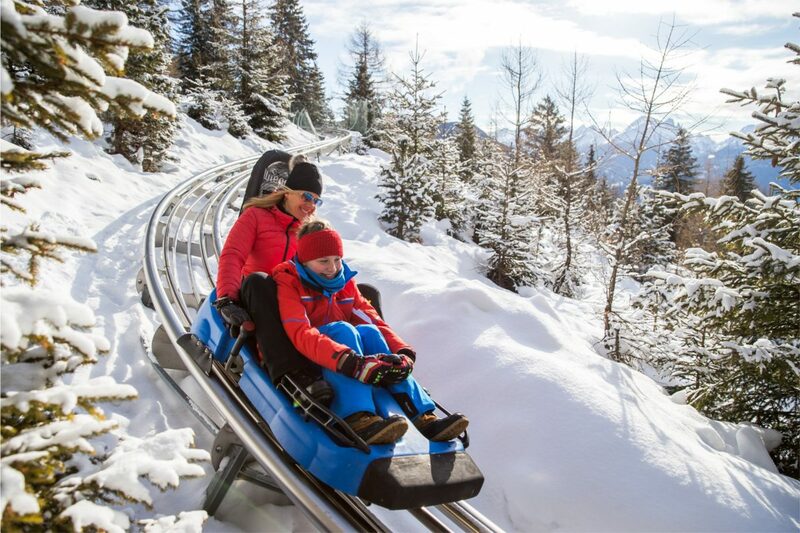 Alpine Coaster Gardonè is a spectacular attraction, unique in Trentino. Get a dose of excitement by speeding through the larch trees and fir trees of Latemar. 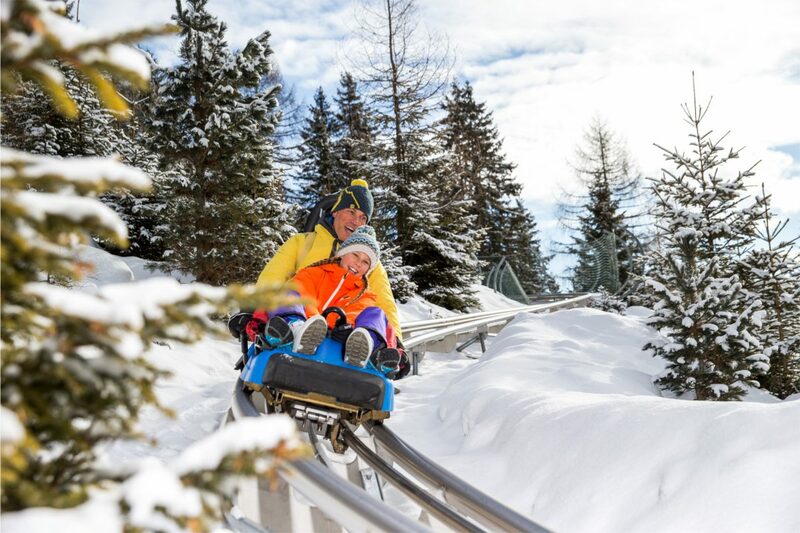 If during winter you spend your winter holidays in Trentino you cannot miss the Alpine Coaster Gardonè. 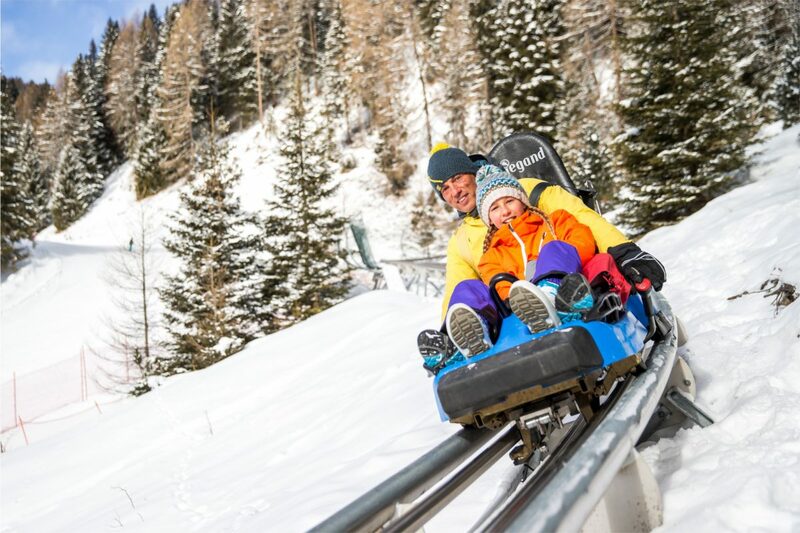 You can sledge down the slopes, ski magnificently along the Ski Center Latemar, discover the tastes of the typical local cuisine but don’t forget to play: all together, with friends and family on the Latemar mountains. 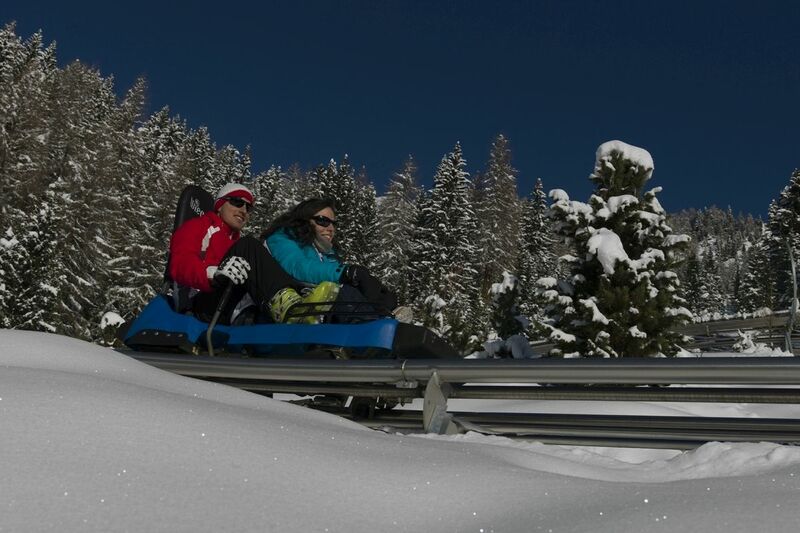 Alpine Coaster Gardonè can be ridden as a couple, on your own, adults and children together. We can’t say if it’s kids or adults who enjoy themselves the most. After your ride you can ask for your photo. Who has the biggest smile on the spectacular parabolic turns? If you still have some tickets left at the end of the day you can come back. There is no sell by date, we are waiting for you in Val di Fiemme throughout the winter. At Gardonè you can even go for an easy walk with the children in the Dragon Forest and look for the enormous footprints left by the enormous winged creatures, and you can solve the playbook riddles, speed down the sledge slope and stop off in the Kingdom of Dragons, an open air playground which is free. Non sappiamo dire se si divertano di più i piccoli o i grandi.